You take good care of yourself – you eat right, you exercise at least four times a week, and you reduce your stress by spending time with friends and by relaxing with a good book. You do all this because you know an ounce of prevention is worth a pound of cure when it comes to your health, and this includes your smile. In this post, Complete Cosmetic Care Dentistry, your premier dentist in Sapulpa, OK gives you the info you need on how your smile impacts your overall health. Learn more about what you can do to keep your grin – and your entire body – in tip-top shape. 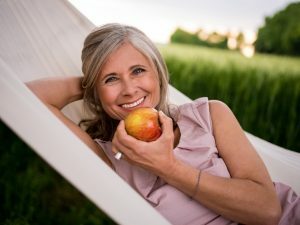 How Does My Smile Affect My Overall Health? Cardiovascular Disease – Most people are familiar with the research that shows a link between heart disease, and inflammation and infection from oral bacteria. Premature Birth & Low Birth Weight – Both prematurity and low birth weight have been shown to be related to gum disease. How Does My Overall Health Affect My Teeth? Diabetes – Since diabetes makes it harder for the body to fight infection, gum disease is more prevalent in people with this systemic condition. Research from the Mayo Clinic shows that “people who have gum disease have a harder time controlling their blood sugar levels, and that regular periodontal care can improve diabetes control” (2017). Alzheimer’s Disease – An oral hygiene regimen that deteriorates can be a sign of Alzheimer’s Disease. Also, oral bacteria that enters the bloodstream or the nerve channels in the skull can lead to forms of dementia. Osteoporosis – In this condition, the bones become weak and brittle, which is connected to the reduction of jawbone tissue. And, since your teeth are bones, they can be affected by this condition, and can break or chip easily. 2x2x2 – Brush your teeth gently for two minutes, twice a day – and floss when you brush. Just like you visit your doctor for checkups, and visit us at least twice a year for exams and cleanings. Now that you know how your oral health is linked to your overall health, schedule your appointment with Complete Cosmetic Care Dentistry today to keep your smile – and your entire body – in great condition!